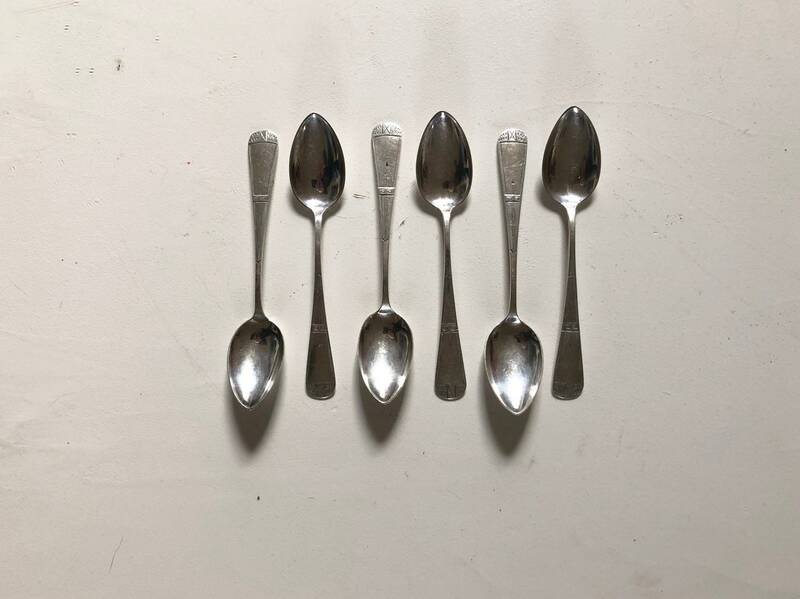 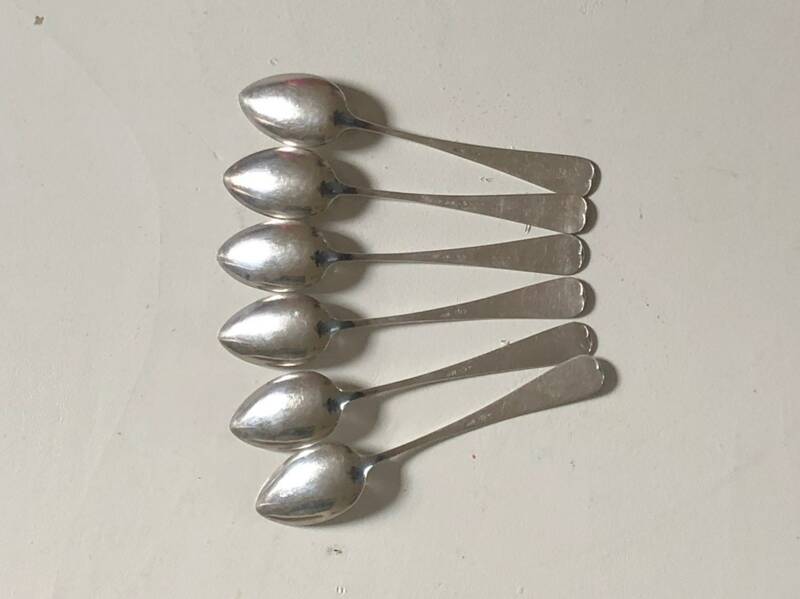 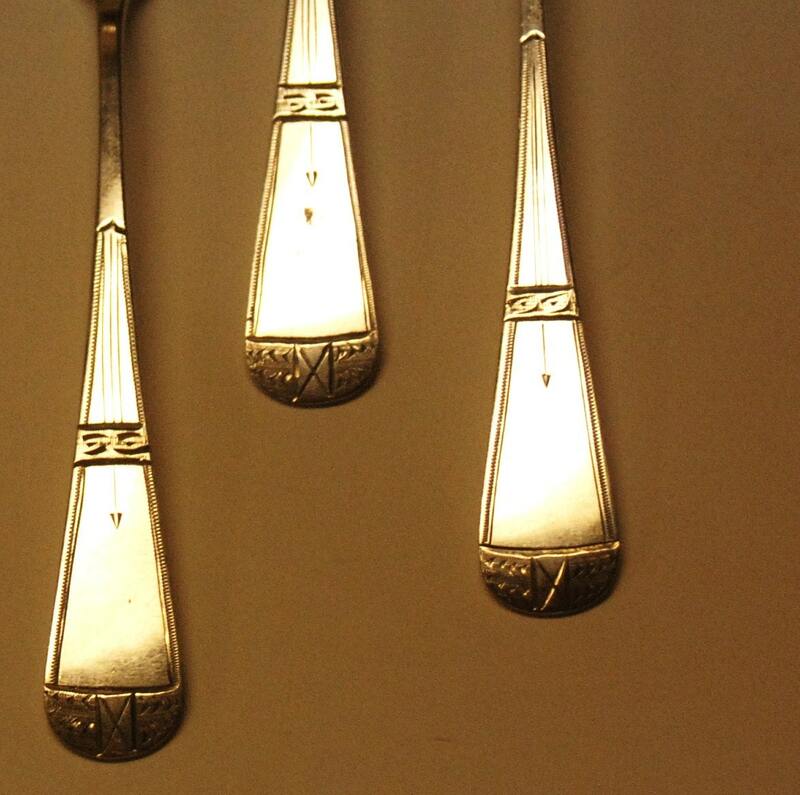 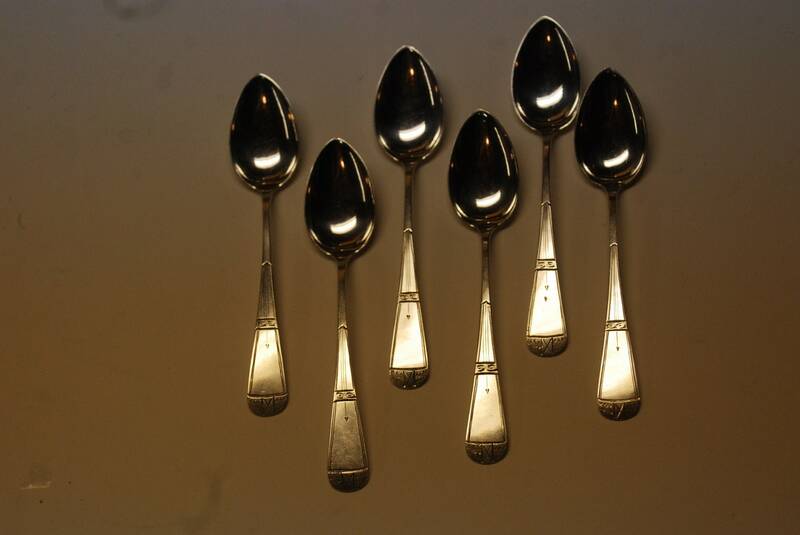 A very nicely made matched set of coffee spoons made to the German silver standard of 80%. 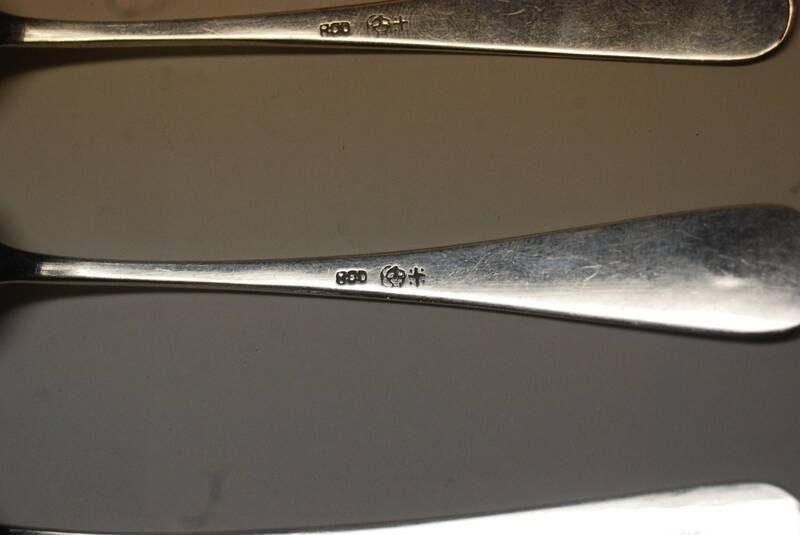 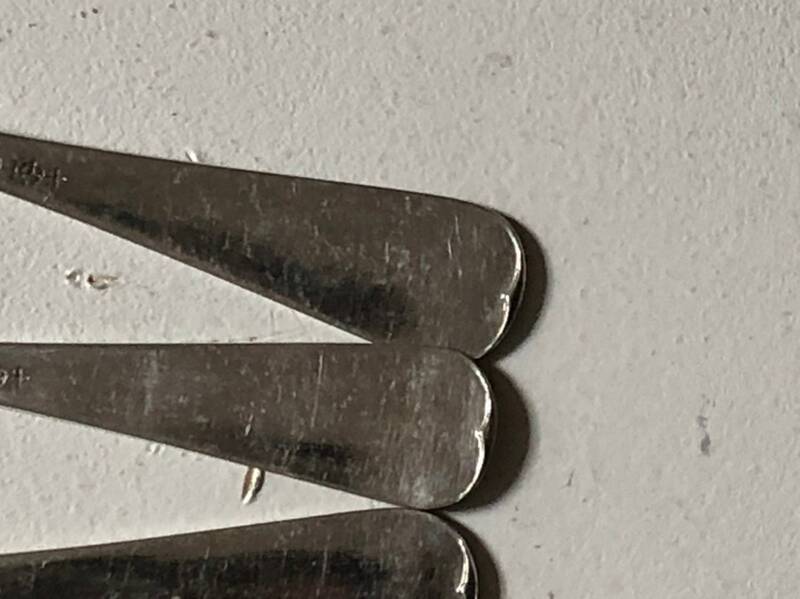 Maker has not been identified, but based on the simple hallmark, form and brightcut chasing, these will date at 1850 or earlier. 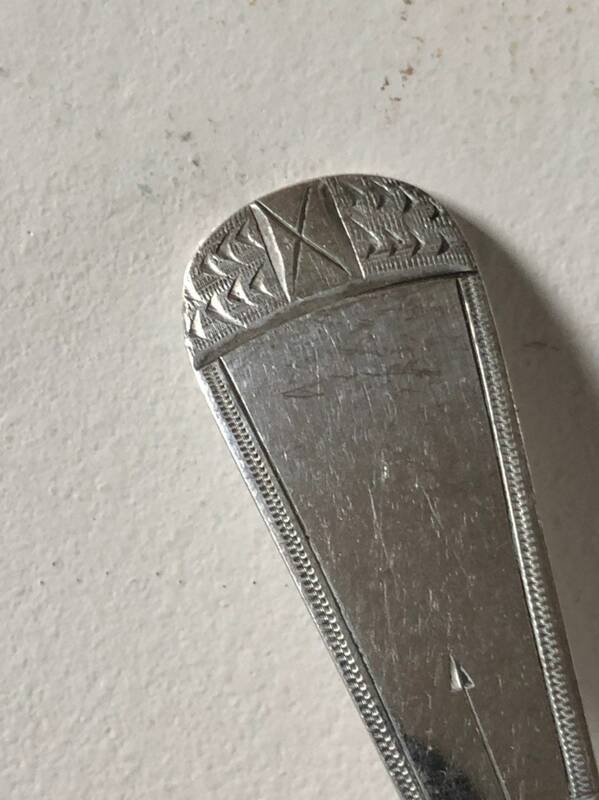 Condition is excellent with no faults. 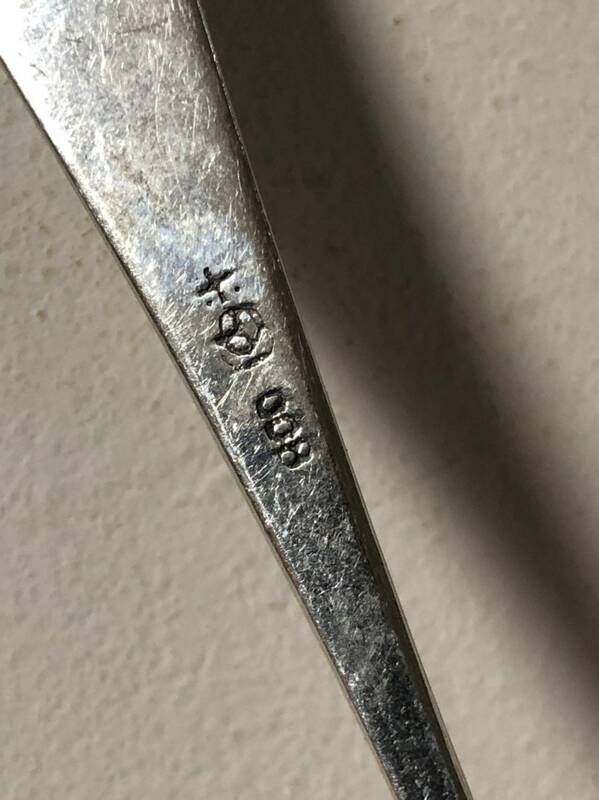 Stamped between stem and handle. 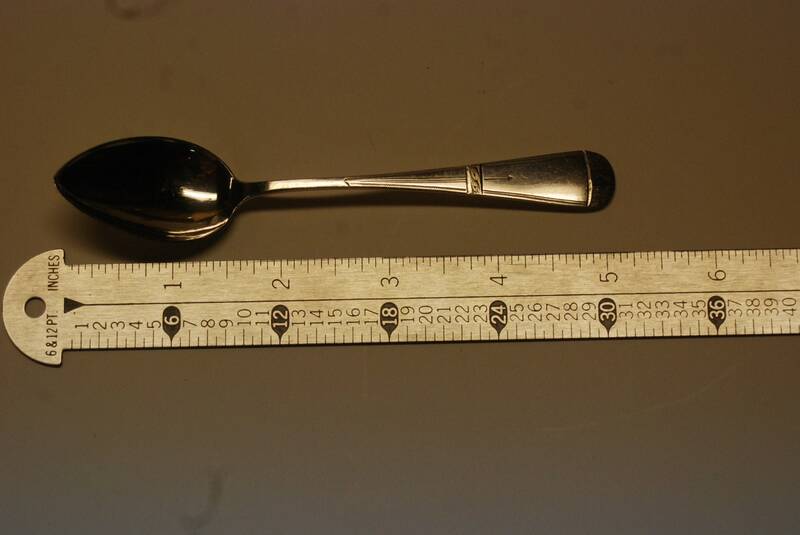 Approximately 5" in length as shown and weighing at 75 grams (2 toz 8.2 dwt).